Mohamed Ali Mosque is the emblem of the Cairo Governorate. Mohamed Ali (1769-1849) was born in Cavalia, Greece, and was of Albanian origin. He was a soldier in the troops that were sent to Egypt to free the country from Napoleon’s occupation and took part in the land battle of Abou Kir on the 25th of July 1799. In 1808 he was the commander of the Albanian troops in Egypt. In 1805 the Egyptians revolted against Wali Khourshid and Mohamed Ali took over. The mosque was built in 1830 in two parts: the mosque and the courtyard. The court measures 52 x 54 m and is surrounded by four corridors lined with marble columns and surmounted by little domes. In the centre of the court there is the fountain for ablutions (where Muslims wash before saying their prayers that take place five times a day). The clock tower on the western side of the fountain is of perforated copper. The clock was a present from King Louis-Philippe of France to Mohamed Ali Pasha in the year 1845. Architect Youssef Boshna from Turkey who constructed this mosque, took his model from the Hagia Sophia, the church that was later transformed into a mosque, and is known for its Byzantine style. 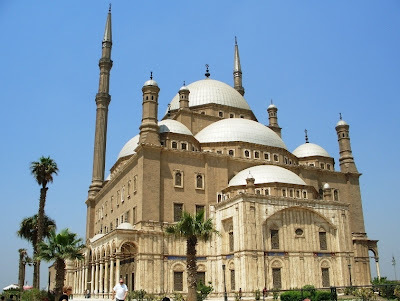 The mosque is square in shape, the length of its side is 41 m, the central dome is 21 m in diameter and 52 m high. 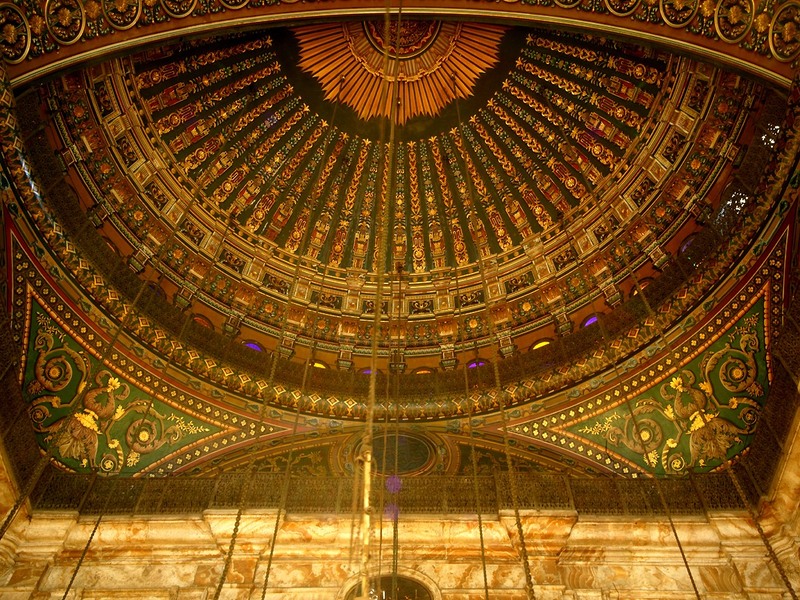 It is supported by 4 square pillars and surrounded by 4 semi-domes and the semidome of the kibla. On the western side of the mosque stand two cylindrical minarets (pencil minarets) in the Ottoman style. 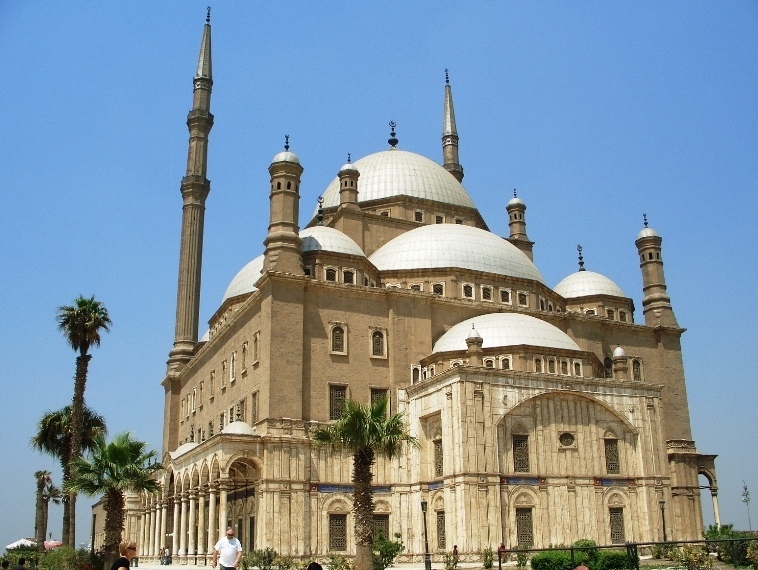 The height of each is 84 m. This mosque is characterized by the great quantities of alabaster that adorn the walls. 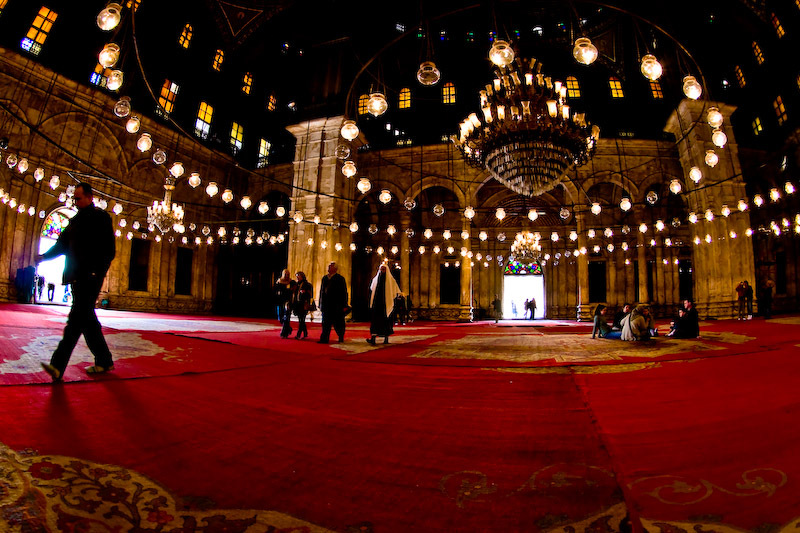 The pulpit (minbar) and the dekka (tribune) are made of white marble. The mihrab is covered with alabaster and gold decorations. 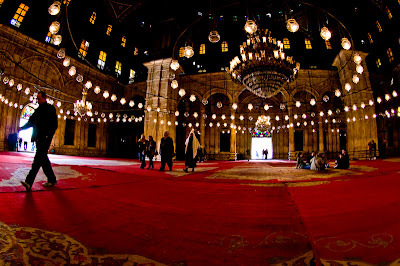 A large number of pendant glass and crystal lamps form circles of lighting inside the mosque. 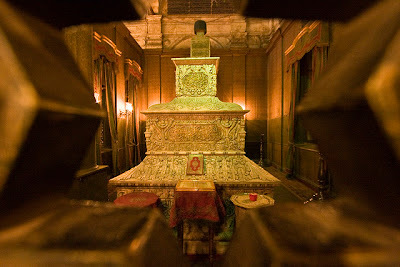 The three tiered tomb of Mohamed Ali Pasha is at the right side of the entrance door of his mosque. It is made of white marble, decorated with carved floral motifs and covered with painted and gilded inscriptions.